The purpose of this study was to delve into the life and accomplishments of Julia Child, in order to discover how she affected the society in America in the mid-to-late 1900s. Objectives of the essay were to identify the gender roles and social norms in the mid-to-late 1900s, analyze Child’s accomplishments, and draw connections between the change in the role of women and Julia Child’s influences. Through Julia Child’s profound lifestyle, she revolutionized the societal norms of the time. Historical references of society in America, novels about Julia Child, scholarly journals over Child’s influences, and databases about each were used to probe thought and provide connections between the two topics. This study is important in order to show how people or certain events promote societal changes. The essay was separated into two topics: the change in society (focusing on gender roles), and Julia Child’s influences and accomplishments, with connections between the two made throughout. Analysis of research is provided to discern how much Julia Child had to do with the change in America as opposed to other people or events that occurred around the same time period. ... Child." 2013. The Biography Channel website. Aug 25 2013. Lehrman, Karen. "What Julia Started. (Cover Story)." U.S. News & World Report 123.11 (1997): 56. Academic Search Complete. Web. 4 Feb. 2013. McEnaney, Laura. "Gender." Encyclopedia of American Foreign Policy. Ed. Richard Dean Burns, Alexander DeConde, and Fredrik Logevall. 2nd ed. Vol. 2. New York: Charles Scribner's Sons, 2002. 123-134. Gale Virtual Reference Library. Web. 23 Jan. 2013. Namboodiripad, Savithry. Women in European History. The University of Chicago. 8 June 2009. Web. 25 August 2013. "The 1950s Lifestyles and Social Trends: Overview." U*X*L American Decades. Ed. Julie L. Carnagie, et al. Vol. 6: 1950-1959. Detroit: UXL, 2003. 92-93. Gale Virtual Reference Library. Web. 23 Jan. 2013. 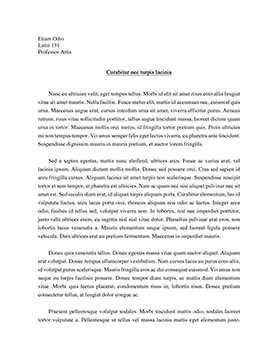 Evaluative Report of an Example of Computer Mediated Learning.